Frankly, the country now needs more of the opposition than ever. But the opposition does not realise this need from people. 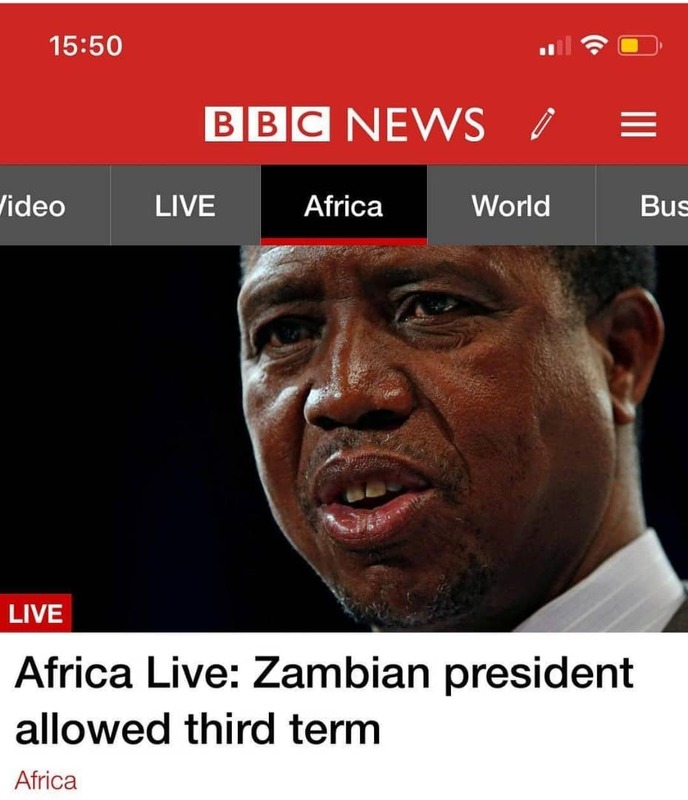 Zambians are naturally peaceful people and will never resort to react to malfunctions of its govt. You see UPND should have won election way back in 2015 but its members are a shame to say the least. UPND members are very vibrant on social media but will never be found on the ground forming branches and strengthening their wards and constituencies. Leaders in all organs especially now are cadres that are always wishful expectants of their president giving them food and money than them striving in poverty to uplift their party. You will only hear them talking and complaining of the party not giving them resources or always wanting to be found at the residence of HH than them finding means and ways of sacrificing for the party so numbers can increase and structures can become more stronger. This is not to mean there are no better members. Lusaka and copperbelt could by now be UPND but because they have constituency executives who are sleepy and docile, PF is still felt striving. I love how PF conducted its politics especially during 2010 to 2011. Its members were never seen expectant of its president handing them with resources but they were all seen in wards and constituencies making impacts. They were fearless, never timid of any threats from the police or MMD cadres. PF cadres could dare mighty Mr Banda who was Lusaka Province MMD chairman. PF cadres were able to abduct MMD officials at a hotel along Tambo Mbeki road. That is the type of cadres a party wishing to form govt should be like. Fearless and never shaken. Members who can strive through hunger and poverty to pull to the finishing line. Cadres who can consider themselves as drivers of the party. Cadres who ask themselves questions like, ” if I am not there, who will then be there. If I am not forming branches, who will?” A party member must be able to find on a daily basis tactics and schemes that will bring numbers to its existence. Today UPND is not even holding its convention to elect its strong team. They need to have a functional executive and structures. Look a party is you and not HH or GBM. Without you, their can never be a party. Most UPND members have some means of survival and if you all stood up and sacrificed for you party in some way, I assure you that come 2021, you will form govt. Imagine even a chitenge must come from your president? Surely nangu balawina sure where? You see this is the time to bring on board bena Kambwili, Kalaba, Nawakwi etc and form one team. Don’t bring them as coalition partners but as members of the party. Don’t be selfish but open your doors. Ifyashala fikaisanga nga mwawina. The next thing we will see is an influx of post of today’s court ruling on social media. My friends stop being complainants. Go out and work hard and strengthen your structure and become a powerful tool for your party than busy this and that. You see the courts also at time give verdicts for the parties that seem to be more antagonistic as they know, with that pressure from PF outside court, the country can be on fire and they would rather protect the nation by giving even painful and false judgements. kabombe boyi. But do you still trust our courts? Whatever the answer you have, better go down and work for UPND to form govt tomorrow.